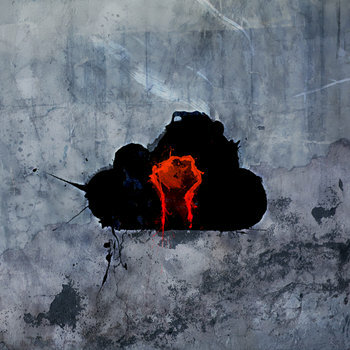 In a previous post, I developed a number of ideas brought forward by Derek Gregory, and talked about the concept of distance or separation in the context of drone warfare, attempting to reposition the primary separation from between the drone pilot and the victim of the drone’s violence – where it is often presumed to be – to between us, the body of individuals whom make up the public, and the phenomenon of war as a whole. The reality of war has always, and increasingly, concerned its perception. In this way, we can view the two positions above as being part of a causal relationship. That is, the reality of the separation at point 2 is exacerbated by the perception shown at point 1. For the extent to which, in spite of our best intentions, we (and thus our politicians) can escape a feeling of responsibility for the violence of drone warfare by separating ourselves from its horrors is dependent upon the extent to which we can deny the fact of this separation to ourselves, and lay the blame for our ignorance elsewhere. Even those of us who do not buy the notion that drone warfare is entirely clean tend to believe that it is only dirty on the side of the victim, and that drone pilots – those we deem the perpetrators – are caught up in the delusion of a just or honourable fight. This view has been encouraged by the reductive claim that, because the pilot’s visual perception is mediated, it must be clean, even when the victim’s reality is not. Yet this perception-of-perception does not represent the subversion or unveiling of the discourse of ‘smart’ or precision weaponry, but is rather just another of its strands. For to criticise drone warfare for accomplishing the evacuation of risk on the side of the aggressor – to say that it is asymmetrical – nonetheless maintains its attractiveness in domestic strategic terms. By positing a false criticism about drone warfare, we inadvertently give it praise. Ian Shaw (2010) has responded to the propagators of the ‘joystick warfare’ narrative in interesting terms, arguing that they may in fact be half-right – that is, drone piloting may not be unlike gaming – but what they fail to realise is the level of graphics that contemporary gaming has reached, and the level of immersion that it achieves. He begs the question of whether we can really be so blunt anymore about the distinction between the virtual – a trivial or false domain – and the real, serious world. When we view photos of the drone pilot sitting in the dark, cramped operating room, what is most often commented upon is its seclusion and safety, but what should be paid more attention is the fact that the individual is in all senses plugged in. It is necessary to look beyond the visual, to recognise that he or she is wired to such an extent that, though we cannot say that they are on the battlefield, neither can we really say that they are entirely contained within the readily-visible walls of that room. Following Shaw, the conclusion must be that they are somewhere in between these two spaces; that a new, ambiguous space – the transitory space of ‘play’ – has been entered into. This space is one which demands a far more nuanced understanding. It is first of all an intensely multi-sensory space, the result of numerous multi-lateral flows of perception and reality; virtuality and physicality passing between and across publics, politicians, media, militaries, perpetrators and victims. Second, it is an unclean space. Thus it is not only the separation but the asymmetry which has to this point been misplaced: the spaces of both the victim and the drone pilot are traumatic, but the great asymmetry is internal to each of them. 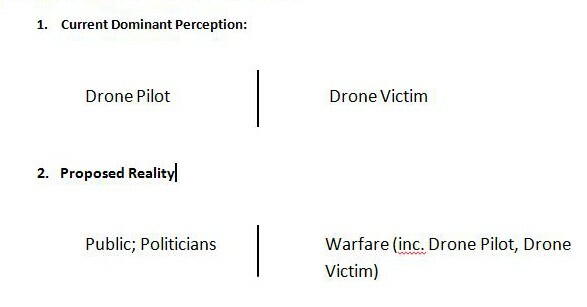 While the victim space is clearly asymmetrical because of the impossibility of resistance against an unmanned variety of airpower, the drone pilot’s is asymmetrical for the reason that it holds all the horrors of war without any of its comforts. Its consequences may be terrifying and painful, but the soldier is comforted by the idea that they risk themselves. This is the principle of honour, and it is paired, in traditional, territorial war, with the mutual reassurance and therapy of camaraderie – individuals risking themselves for other, known, individuals. The irony is that, by claiming to have succeeded in the age-old ambition to remove the physical risk from one’s own men, drone technology has simultaneously removed both the main theoretical disincentive to wage war, and the incentive for those who, in reality, are needed to fight it. Whilst the psychological risk, the trauma, remains, the drone pilot is denied the usual methods for coping with it. Honour relies upon the external perception of risk; it cannot be self-prescribed; like shame or pride, it demands the recognition of the other. This recognition – whether from a known individual (a friend/comrade), or a wider (national/international) community – is what is withdrawn when we think the pilot’s experience clean, and, by the same logic, they are deemed by their employers to need little more support than the average office worker. The symptoms have, in the past few weeks, revealed themselves in a classic free market asymmetry. It has emerged that the U.S. military are at “breaking point” with regard to their drone pilot capacity. Demand for pilots is far outstripping supply due to a “perfect storm of increased COCOM [Combatant Commander] demand, accession reductions, and outflow increases”. The use of the ‘perfect storm’ idea in the press release is however a disguise for a deeper structural problem: the rift between the clean discourse and the unclean surreality of the ‘play’ space in which contemporary war is fought. It is this clean zero, this absolute negativity of contemporary warfare’s image, that is rejected by the would-be drone pilots who have refused to take up their fated role. Their argument is not an ethical one, nor is it even conscious, being expressed only in their absence. It is rather a simply rational decision in the economic sense, but it nevertheless reveals the gulf, reveals the extent to which we have been deceived. In at least two senses therefore, the US Air Force is stifled by its own administration’s discourse. To begin with, there is a refusal to believe that the technology-led mode of fighting should require a supply of men at all. The fetishisation of drones by government and media has worked so well that it has already removed the individual, honourable, labourer from these new wars in the minds of the public, only to realise too late that they are – at least for the moment – still needed. Yet even when this realisation is made, the discourse blocks any effective action being taken. Faced with the supply issues, the logical choice would be to increase incentives, but doing so would mean undermining the narrative of clean war so skilfully disseminated over the last 15 or so years. 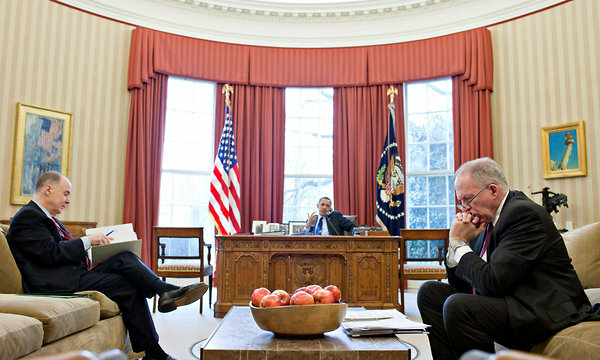 Whenever such initiatives have been attempted – the notion, for instance, of a medal of bravery for drone pilots – they have met with a public backlash, who demand to know why, when being a drone pilot is so dishonourably easy, cowardly, perhaps even fun, those with the potential should require any greater encouragement to take the job. Given that the discourse cannot be retracted to meet with the reality, the only option remaining is to accelerate the reality into the discourse. That is, if the US is going to continue fighting on all fronts, whilst maintaining the illusion that the fight is a clean fight, the technology must live up to the fantasies dreamed up for it. This is a dangerous position, for the pressure to accelerate technological progress may encourage riskier applications of unproven or imperfect models. It is already true to say that, where weaponry is concerned, the US is affected by a tragi-comic infantilization: an affliction whereby “the warrior, like a child in its playpen, wants to try out everything, show off everything, for fear of otherwise seeming weak and isolated” (Virilio, 2007: 10). Yet, we must now see these experiments additionally in the context of a discursive deficit. We should therefore be deeply wary of proclamations, such as that which recently promoted the capacity of drones to hunt in packs like wolves, which conveniently reduce the need for manpower in the operation of weaponry. Having already burnt their bridges with the soldier, the administrators of drone warfare have left themselves no other ally but the technology itself. They have little choice but to sleep in the bed they have made, pushing the drone towards greater autonomy even if the consequences are violent. It is our duty to perceive and resist these alliances and their discourses, no matter how convenient they might appear. Shaw, I. (2010). ‘Playing War’. Social & Cultural Geography. 11(8), 789-803. Virilio, P. (2007 ). Strategy of Deception (Trans. C. Turner). London & New York: Verso.